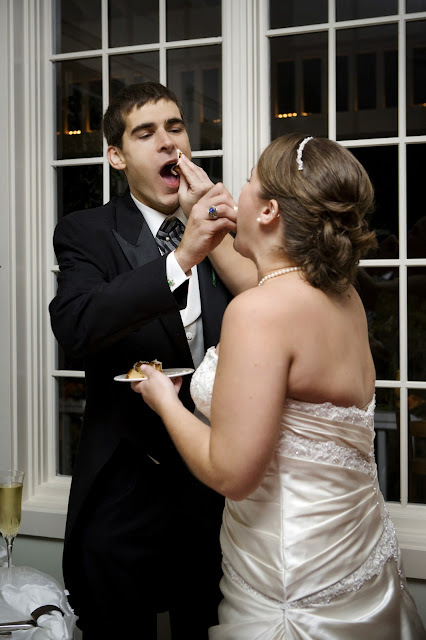 Even though I recently did a post on the ABCs of our wedding, I thought it would be fun to show off our wedding cake and ice cream sundae bar in a little more detail. We initially didn't even want a wedding cake, but after tasting the cakes from our reception venue we agreed to do a small one for those people who HAVE to have wedding cake, and so we could have the ceremonial cake cutting. But, I don't even remember the flavors! That's how little I cared. 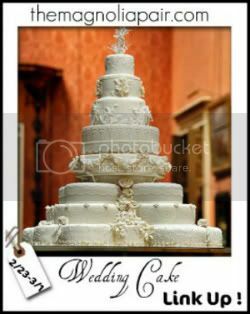 We sent the baker a copy of our wedding invitation that Ashley designed and they matched the embellishments. 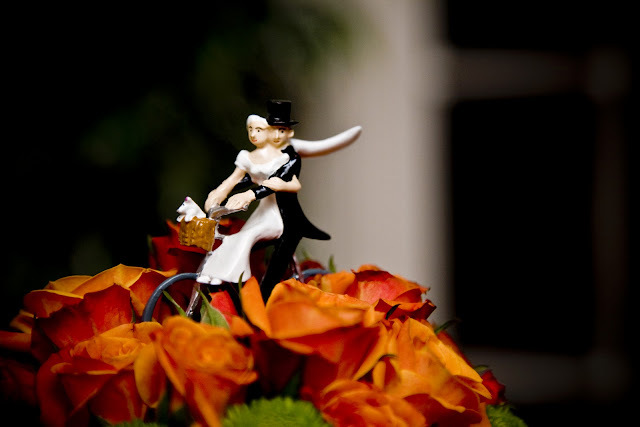 I had seen this little cake topper in a wedding magazine but after I hunted it down, I learned it cost $80 for a 2" figurine. No thank you. My parents, however, knew how much we loved this little guy and purchased it for us as a surprise. It was so fun walking over to cut the cake and seeing this precious topper. We keep the figurine in our china hutch. 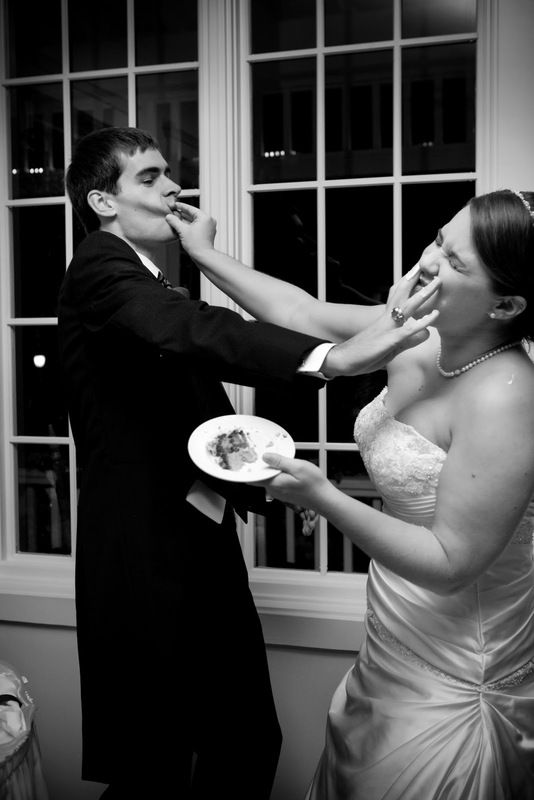 Eric and I were so tired of going to weddings and watching the bride and groom daintily feed each other cake so we agreed to Bring It On. And as you can see, we clearly did. 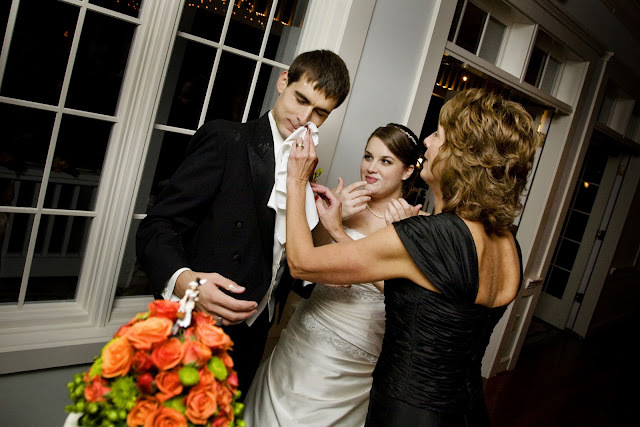 And then his mom cleaned his face. Note the look on my face. Haha. What I REALLY wanted as our wedding reception dessert was ice cream. Any one who knows me well knows of my love and affection for a perfect ice cream sundae. 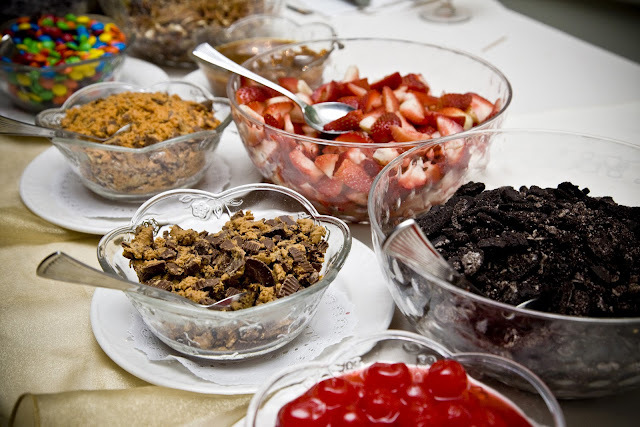 Our wedding reception venue was more than happy to put together a sundae bar for us. 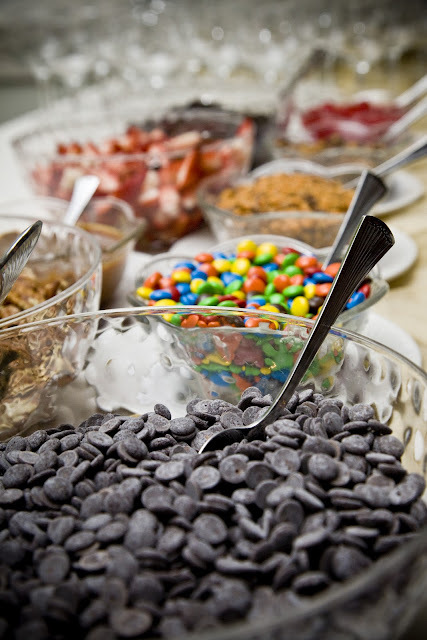 They included tons of toppings, just like going to a frozen yogurt place. It was a huge hit! 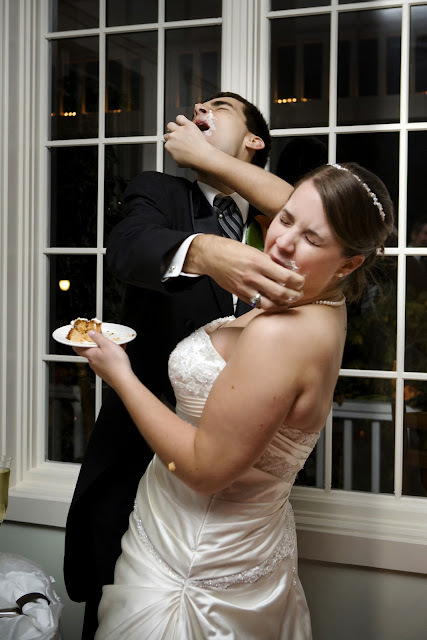 Eric's cousin even used the idea at his wedding. 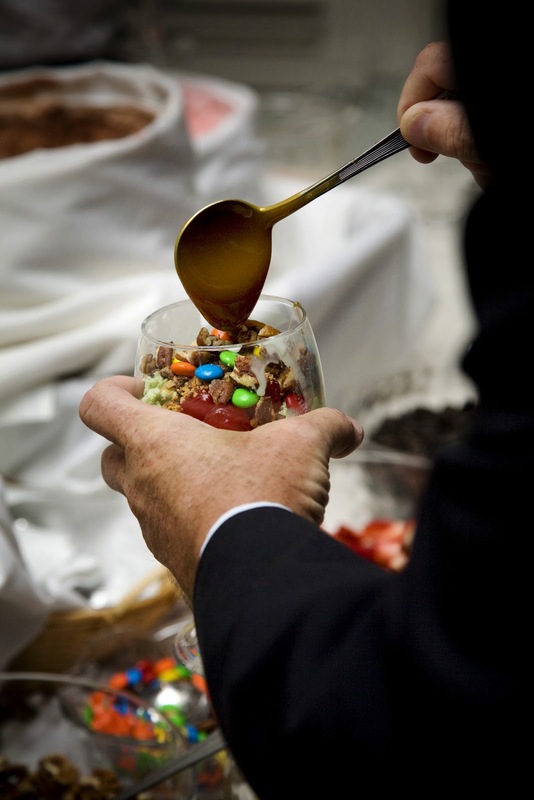 I mean, what's not to love about a wine glass full of ice cream covered in candy? Bliss. 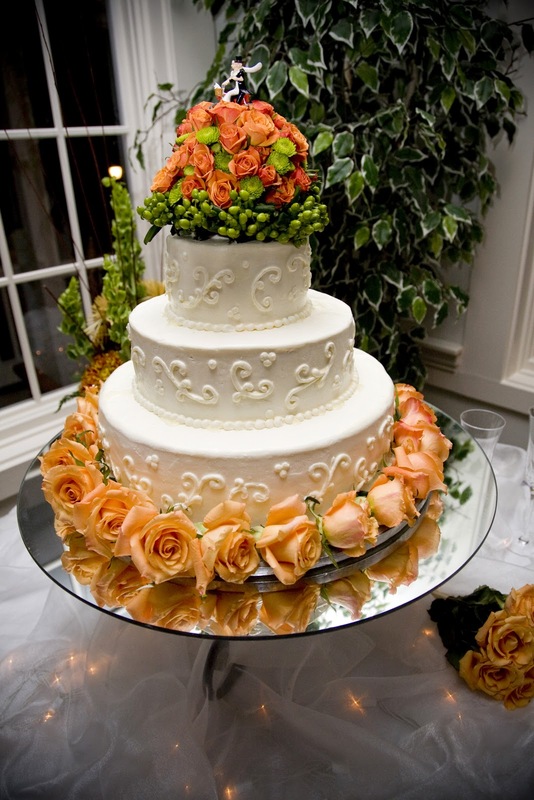 Your wedding cake was absolurely beautiful ! Oh my goodness! Thanks for linking up !